Greenland is a place of wonder where nature has placed its greatest riches. If you are a hiker, angler, kayaker, mountain climbers or simply an amateur traveller, this Arctic destination is a world of breathtaking beauty and strength with dramatic glaciers and countless icebergs. Almost completely buried beneath a cap of permanent ice and snow, Greenland is the world's largest island. Situated on top of our planet, this island boasts of a coastline that is equal to the figure of the Equator. While 81% of the landscape of Greenland is covered with thick ice sheet and inhabitable, dog-driven sled are the major form of transportation here. 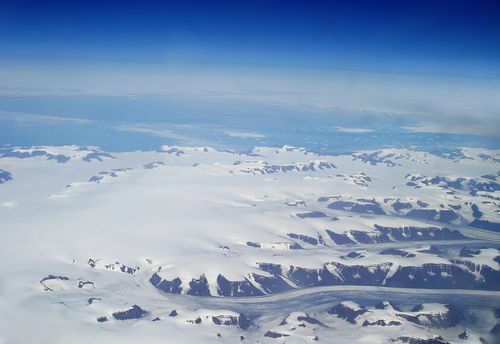 It is also home to the world's largest national park, Northeast Greenland National Park. Cruising along this national park is a stunning and impressive experience with rare views of large whales, seals, walruses, musk oxen, reindeers and polar bears. Here one can also see the magical mid-night sun. Greenland is geographically part of North America but is a European, rather a Danish destination in political terms. The Inuit are believed to be the first inhabitants of this island nation followed by the Norse settlers. In 1261, Greenland became part of the Kingdom of Norway and was colonised as the Royal Greenland Trading Company of Denmark in 1721. On May 1, 1979, Greenland gained home rule and today; it is a self-governed territory of Denmark.